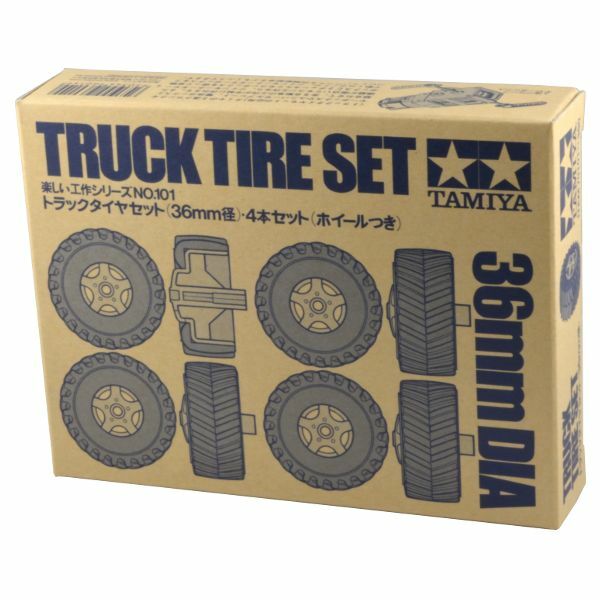 The Tamiya 70101 Truck Tire Set contains a set of 4 small wheels with tires that are compatible with the Tamiya gearbox motors. Each wheel measures 36mm in diameter with a 16mm wide rubber tire tread. 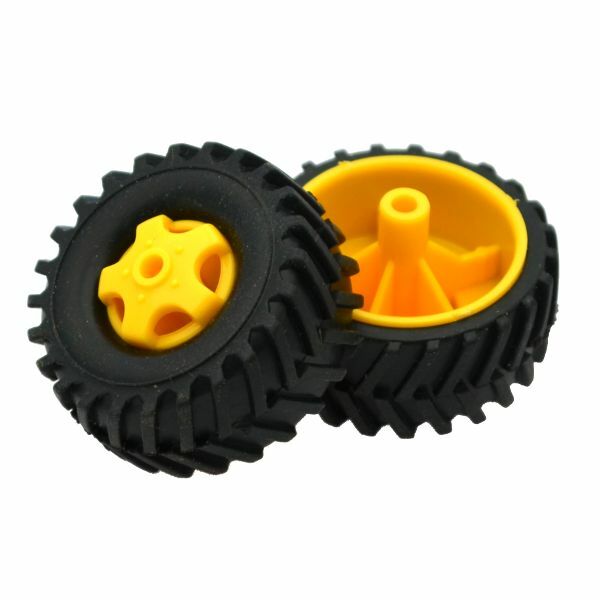 We recommend these wheels for use with the Tamiya 70097 Twin Motor Gearbox Kit.